I am glad to see that the U-B is read by Bert Bowler in Boise. A quick look on the Internet revealed Snake River Salmon Solutions is a coalition dedicated to breaching the lower Snake River Dams. Bert said the majority of fisheries scientists support breaching the dams. If that is true it is because they ignore the science the U.S. Army Corps of Engineers and the Bonneville Power Administration have gathered related to dam fish survival and the improvements that have been made at the dams since Bert was a young biologist with Idaho Fish and Game when I first met him. At a national American Fisheries Society meeting in Idaho in the 1990s, a petition was signed by 206 biologists from around the nation advocating breaching the dams. I gave the national president and executive secretary a tour of the fish facilities at Lower Granite Dam the next day. The president, a University of Idaho professor who conducted Corps-funded studies, and the secretary did not sign the petition. They said the AFS is a democratic organization and the petition was the will of the attendees. Other noted scientists have canceled their AFS membership because of such political advocacy not supported by science. Bert said hundreds of thousands of wild salmon returned to the Snake River before the 1950s. That is true. Overharvest from the 1860s to the 1950s, loss of habitat to tributary dams, habitat degradation by farming, mining, logging, roads and railroads and a myriad of other factors reduced the runs 95 percent before Bonneville Dam (1938) and long before the dams went in that SRSS wants to breach. Dams on the Salmon, Payette, Owyhee, Boise, Wallowa and Snake rivers far above the lower Snake dams all took their toll. Some like the one on the Wallowa (1898- 1914) were put in by fishery agencies to collect eggs for hatcheries. All they did was wipe out the sockeye, chinook and steelhead that spawned above them. Even the Salmon River sockeye, now listed as endangered, were wiped out by Sunbeam Dam (1914 - 1935) that had little or no fish passage. With the sockeye gone, IDFG poisoned out Red Fish Lake (1950s) so it could manage it for cutthroat trout. Then it relented and reintroduced sockeye from Babine Lake in Canada. 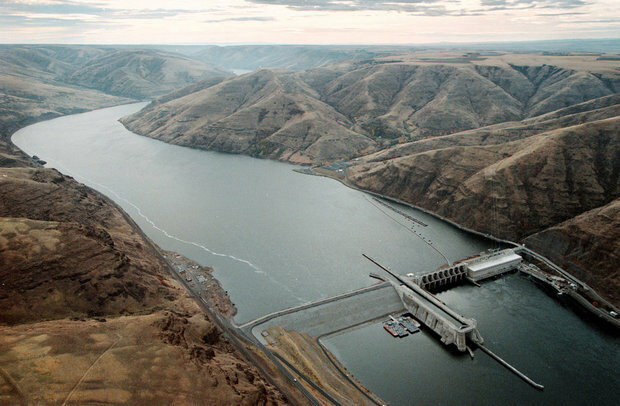 Now SRSS blames the lower Snake River dams. I agree with Bert -- let's have dialogue and debate based on real scientific facts.